ICI House on the corner of Albert and Nicholson streets East Melbourne, designed by Bates Smart McCutcheon. 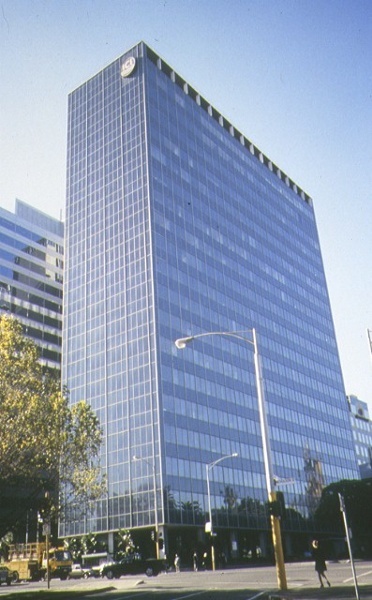 From its completion in November 1958 until 1961, ICI House was the tallest building in Australia. At 84m it broke the 40.2m Victorian height restriction by 43.6m and set a new precedent in height controls in the city of Melbourne. 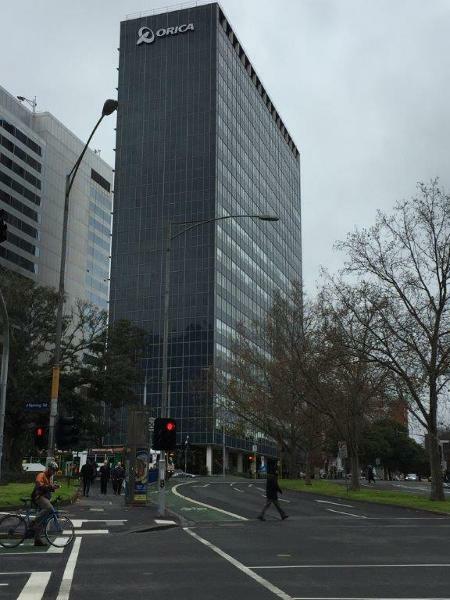 Its height, combined with its position on the eastern hill of the central business district, terminating the axis of Lonsdale Street, made the building a landmark. The building is an open plan concrete encased steel framed structure elevated on pilotis over what was originally an open undercroft. The main body of the building is clad with framed glazed curtain walling. The floors of the building are of precast concrete flat panels. 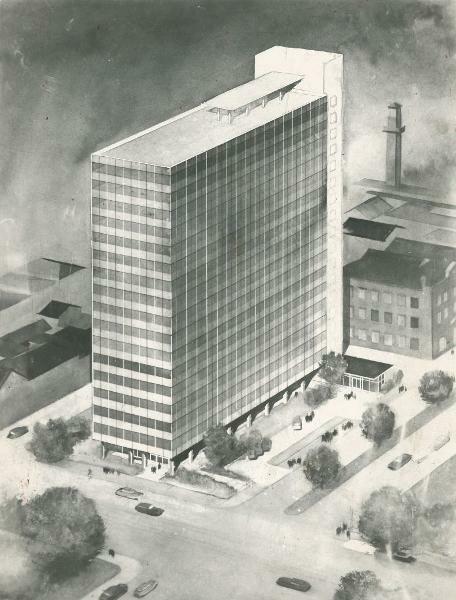 The building is comprised of 19 stories, including the ground floor and two floors below ground. The service core is separated from the main glass clad body of the building and is clad in precast concrete panel curtain walling . 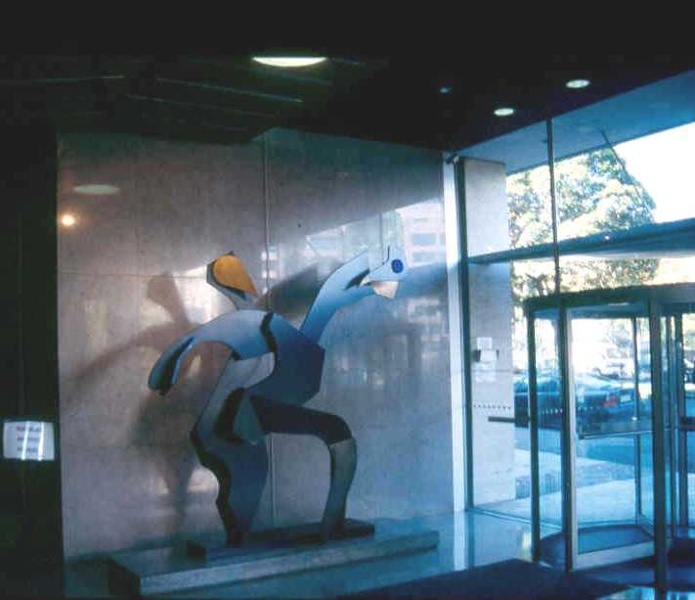 While curtain walling had previously been used to a small degree on facades in Melbourne, its use on ICI House was especially important in that the whole main body of the building is clad with it. 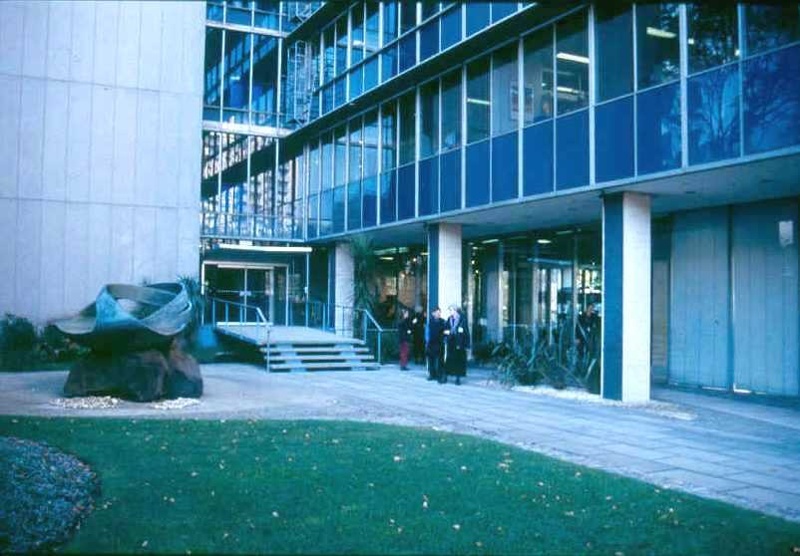 The building's main entry is now off Albert Street through a foyer that was sympathetically remodelled in 1989 by the original architects. 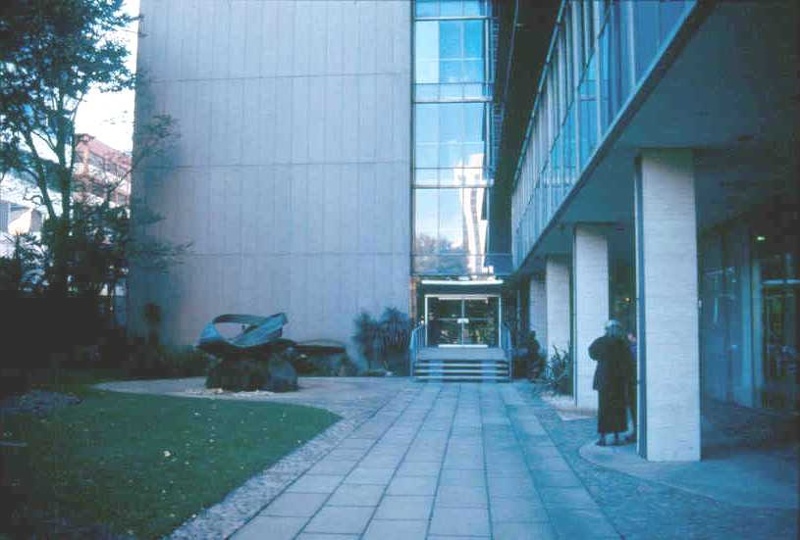 This originally was the secondary entrance whereas the main entrance was through the landscaped garden entered off Nicholson St. The garden, its water feature and fountain, all of which remain intact, were the result of a collaboration between the architects, landscape architect John Stevens and sculptor Gerald Lewers whose fountain sculpture is an intrinsic feature of the garden. The provision of the garden assisted with the breaking of the height limit. ICI House is of architectural significance due to its considerable advancements in local construction techniques. These include the framed glazed curtain walls and innovative use of concrete, including precast reinforced units in structural members and flooring. 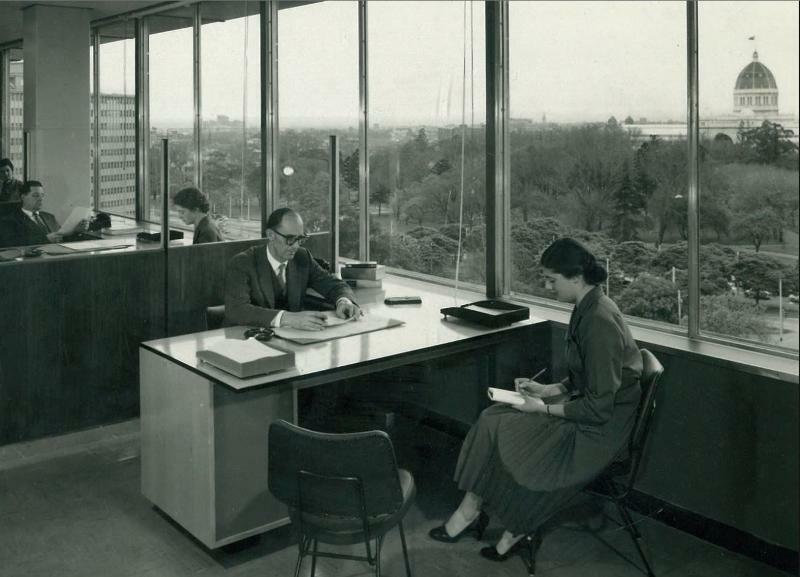 The division of the glazed office space from the solidly clad service tower predates similar developments overseas. 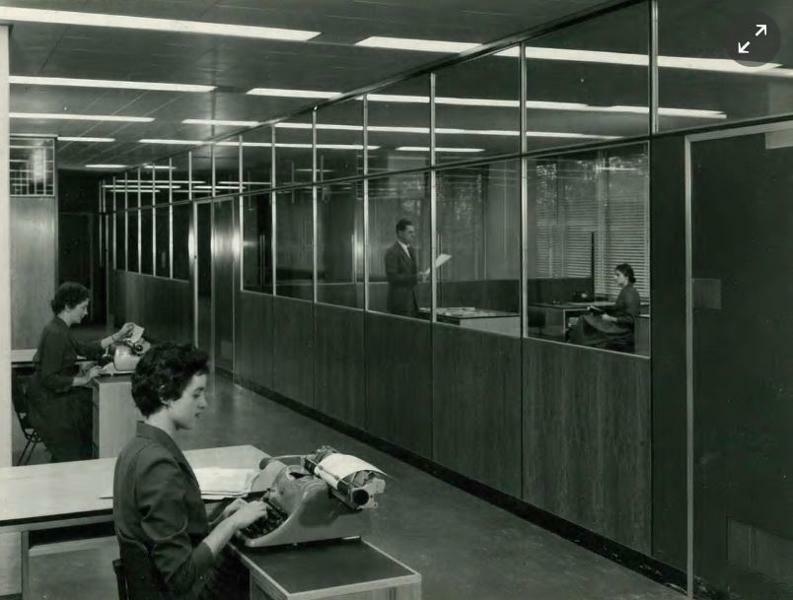 ICI House was a major architectural statement which contributed to Melbourne's position as a participant in innovative world architecture in the 1950s. Its design follows continued developments in international style modernism and draws its influence from buildings such as The Ministry of Education and Health, Rio De Janeiro by Niemeyer and Costa, 1937-43; Lever House, New York by Skidmore, Owings and Merrill, 1952 and The United Nations Secretariat, New York by Wallace Harrison, 1953. ICI House is also of architectural significance as it was a landmark in the planning of the city of Melbourne. 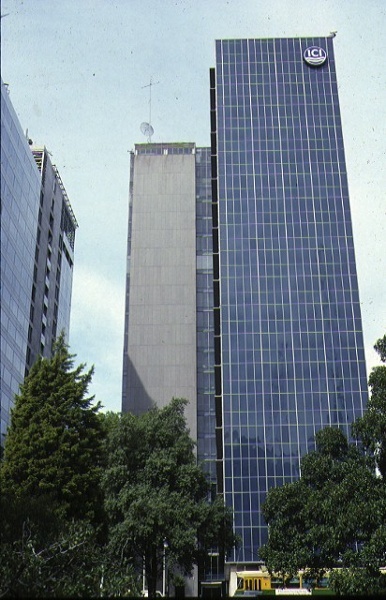 The building was more than double the previous height restriction enforced in Victoria and the design was permitted under the uniform building regulations because the site coverage was examined as a percentage of the total site area. 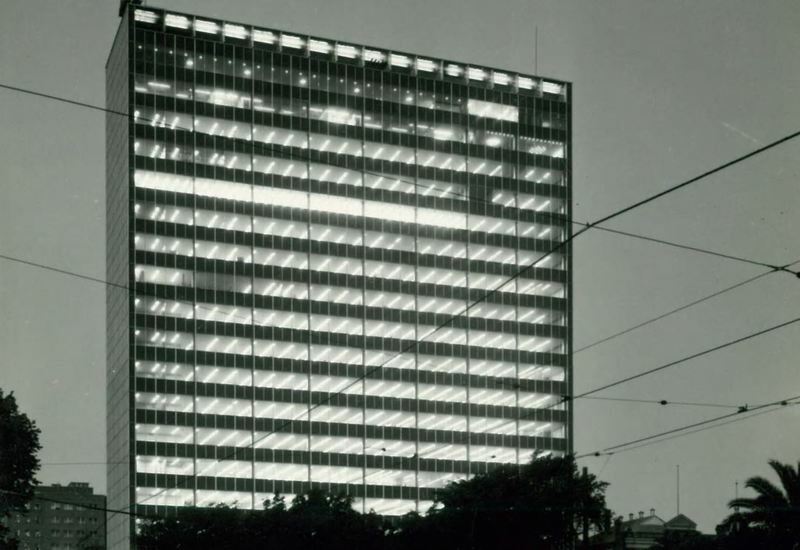 This led to plot ratio determinations for city sites and the eventual redefinition of the central Melbourne skyline. The garden (along with its component parts ie: the Lewers fountain and the water feature) is of significance due to its role in determining the plot ratio that allowed the breaking of the height limit as well as defining the original formal entry to the building. 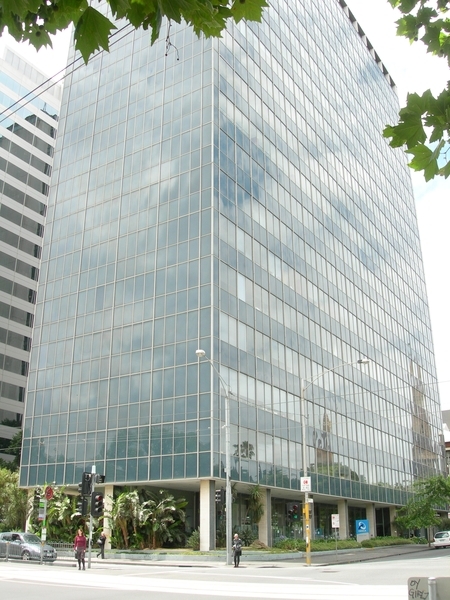 ICI House, 1Ð4 Nicholson Street, East Melbourne, Melbourne City Council. 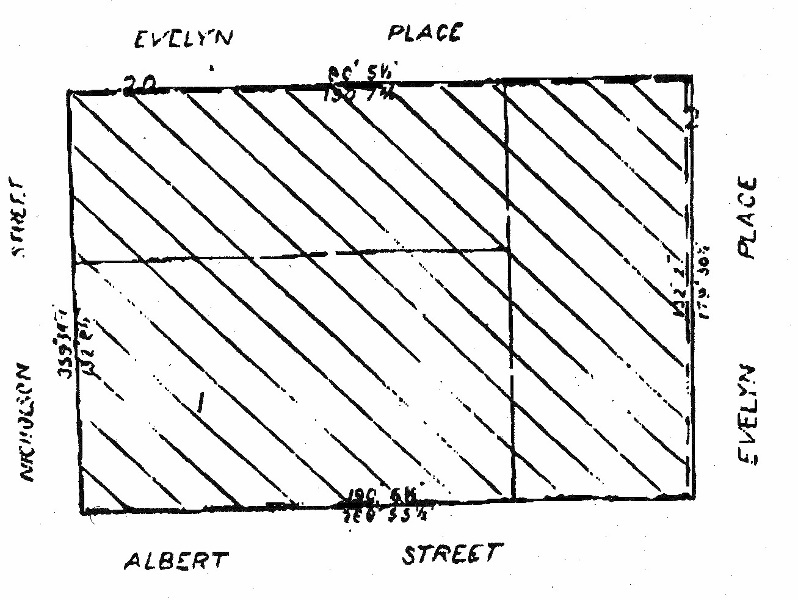 All the building known as ICI House located at 1 Nicholson Street and 50 Albert Street, East Melbourne and all the land, including the garden landscaping and fountain described as Certificate of Title Volume 8164, Folio 806. * The erection of any communication mast or fixtures, unenclosed plant and equipment, new safety railings and window cleaning equipment within an envelope not exceeding 6 metres above the roof level of ICI House and being set back a minimum of 2 metres from all wall edges of the building. *Installation, removal or replacement of carpets and/or flexible coverings. *Refurbishment of toilets/kitchens including removal, installation of sanitary fixtures and associated mirrors, wall and floor coverings. * Installation, removal or replacement of electrical wiring. *Installation, removal or replacement of smoke detectors. * Any horticultural maintenace works within the garden that do not affect the shape, scale and layout of the garden.